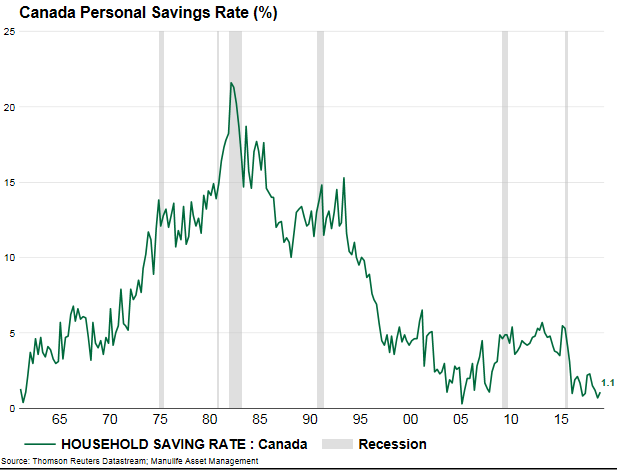 The Canadian savings rate is today near all-time lows. Canadian debt is at all-time highs. Unemployment is set to move higher. At 1.1%, the Canadian savings rate is today near all-time lows, while Canadian debt is at all-time highs, and unemployment is set to move higher. Years of reckless financial policies have driven Canada to the point of hard return. This one is gonna hurt. No savings. Nothing to absorb any kind of financial shock - job loss, reduced hours, separation/divorce, illness, selloviction/renoviction, etc. It's been my theory for while now from what I see every day at work - there is a whole segment of people living on the financial edge.